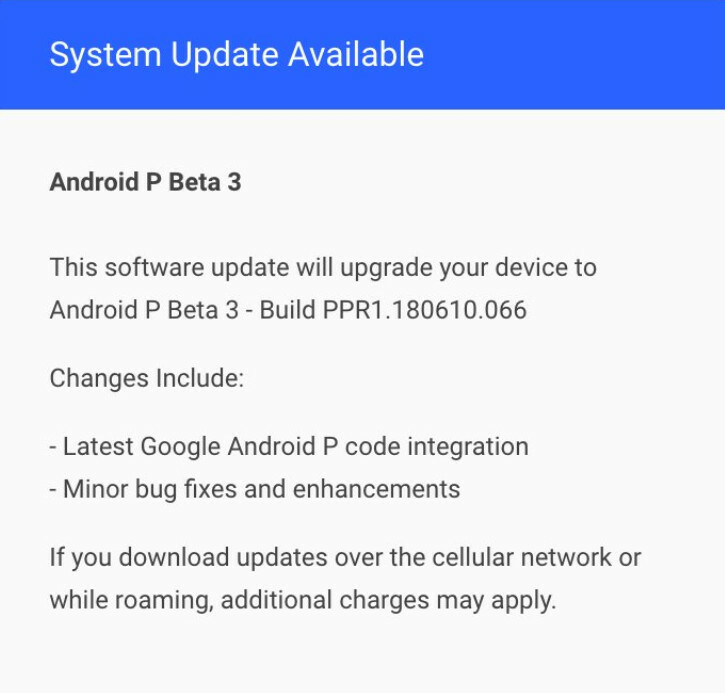 Earlier today, we told you that Google has released the Android P Developer Preview 5 (aka Android P Beta 4) for the Pixel handsets. This is the final Developer Preview before the release of the new Android build. Also receiving the latest update today was the Essential Phone. Essential sent out a tweet this afternoon revealing that it has rolled out the latest Google Android P code integration for its one and only model, and while it is the third public beta for Essential owners, it is the same exact build as the Android P Beta 4/DP 5 received by Google's Pixel handsets. Keep in mind that while this is close to the final build, it is not considered a stable release and is still intended for developers to test their apps. As Essential notes on its Developer Overview website, "Do you love using your Essential Phone every day for things like phone calls, text messages, playing games, browsing social media, and more? If so, then you may not want to install this on your device." While the update included the most recent Android P Beta, Essential owners also received bug fixes and enhancements. You might recall that back in May, the company founded by Android's papa Andy Rubin announced the cancellation of its next phone and said that it is seeking financing. Rubin added that Essential is not shutting its doors, but could be sold. Pixel and Nexus handsets are quickly updated directly from Google, but you'd be hard pressed to find another third party manufacturer that updates its phones as quickly as Essential. Hopefully, if Essential is sold, the company that buys it keeps this policy. Of course, the fact that it runs stock Android certainly helps when it comes to disseminating timely updates. 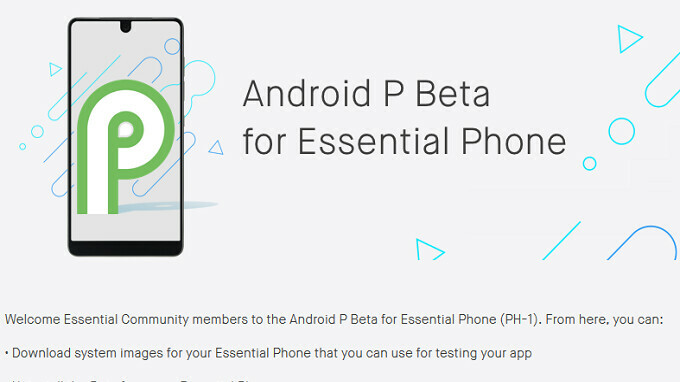 You can install the latest Android P Beta on your Essential Phone from Essentials's Developer Overview website. To get there, click on the sourcelink below. Most folks posting on reddit over newest update are enjoying the upgrade so far it seems. Thanks for the post on the update, there aren't a lot of users true. Though have gained some from the amazing sale Amazon put on recently. Many found it hard to overlook on sale at $250.